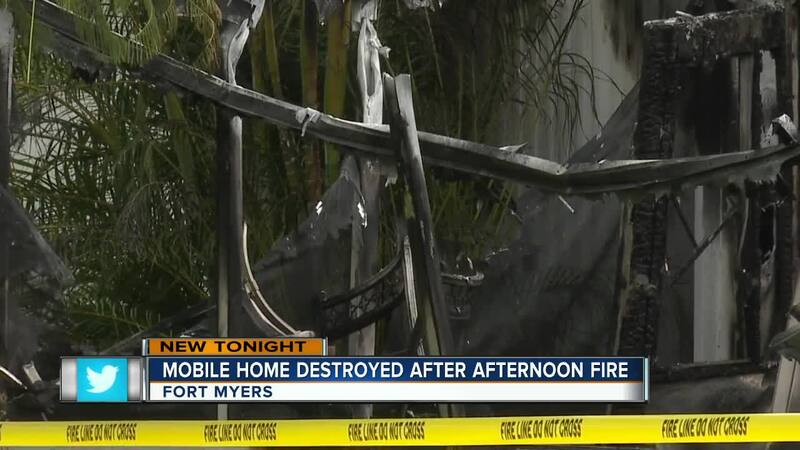 FORT MYERS, Fla. --- Fire crews were busy Saturday evening, putting out a trailer that caught on fire in Fort Myers. According to Lee County Emergency Medical Services, the fire broke out after 4 p.m. Saturday on Sunset Strip and Lazy Lane. IONA McGregor Fire District responded to the scene and extinguished the flames before it could spread to surrounding homes in the area. One person was treated on the scene for minor injuries. The cause of the fire is still under investigation, but arson is not believed to be involved.